William Grant & Sons recorded significant growth in the Americas region in 2018, with sales up 6% versus 2017 despite challenging economic conditions in parts of the region. “We’re delighted to be back in Orlando for the Summit of the Americas. 2018 was a really positive year for WGS, so the team and I are feeling very encouraged for the months ahead. Everyone has worked amazingly hard in what can only be described as challenging times, especially in Latin America, but the results speak for themselves and we are confident for great figures in 2019,” says William Grant & Sons GTR Managing Director Ed Cottrell. This year WGS will focus on Hendrick’s Midsummer Solstice, a small batch, limited-edition gin by Hendrick’s Master Distiller, Ms. Lesley Gracie, and the first variant to release from the Hendrick’s Gin Palace Distillery. Inspired by the summer solstice, Hendrick’s Midsummer Solstice was infused with floral essences and an array of essences that the company says captures the aromatic intensity of a midsummer day. Launched to the U.S. from March, and available for a limited time in 2019 only, Hendrick’s Midsummer Solstice is bottled at 43.4% ABV. Limited quantities will be available to nose and taste on the stand during the show. “Premium gin continues to grow strongly in travel retail. 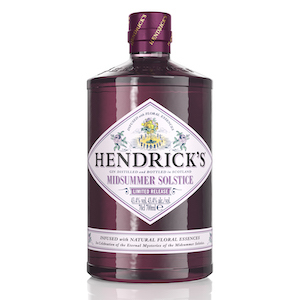 We have seen continued steady growth across the Americas with Hendricks, so we know that introducing a unique batch such as Hendrick’s Midsummer Solstice is sure to be extremely popular in the region,” says Richard Bush, Regional Marketing Manager. 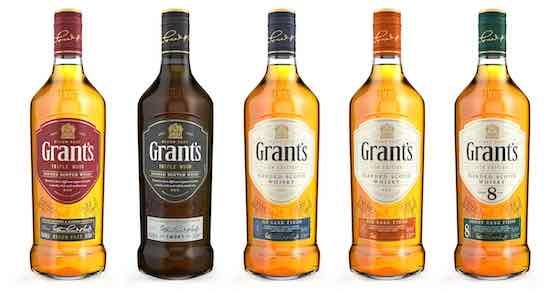 WGS will also be showcasing the recently updated packaging for the Grant’s Blended Scotch Whisky range for the first time in the Americas, including Grant’s Triple Wood, Grant’s Distillery Edition and Grant’s Rum Cask Finish. The WGS team is optimistic about the new home for the show, and are looking forward to its customers trying the new Hendrick’s variant.